Check out this gently-used 2018 Buick Regal Sportback we recently got in. Only the CARFAX Buyback Guarantee can offer you the comfort of knowing you made the right purchase. Enjoy an extra level of calm when purchasing this Buick Regal Sportback Essence, it's a CARFAX One-Owner. The CARFAX report shows everything you need to know to confidently make your pre-owned purchase. Take home this 2018 Buick Regal Sportback and enjoy the safety and added performance of AWD. Know exactly what you're getting when you take home this Buick Regal Sportback as past service records are included. This wonderfully maintained Buick Regal Sportback is in the top 10% of its class when it comes to cleanliness and condition. 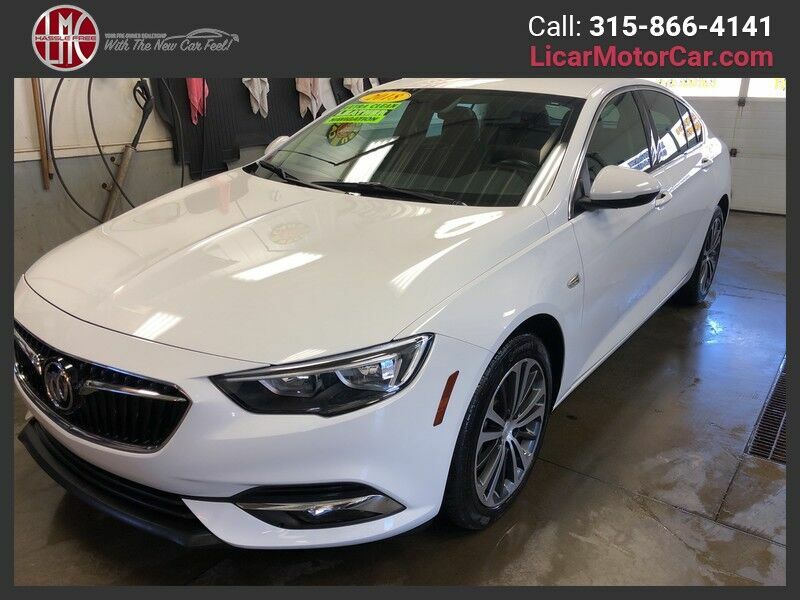 Drive away in this amazing Buick Regal Sportback and enjoy the realization of having the manufacturer's factory warranty coverage still in effect. Stupendously fast, yet subtle at the same time, this Buick Regal Sportback Essence sets the bar high. A true automotive masterpiece, this Buick can function on track-day or work-day, and will always get you to your destination very quick. Why go with a basic vehicle when you can have it all in this well-optioned Buick Regal Sportback? Marked by excellent quality and features with unmistakable refined leather interior that added value and class to the Buick Regal Sportback This vehicle comes with a navigation system. That doesn't mean you won't get lost. But it does mean you won't stay lost. This car comes equipped with new tires. This is one of those rare vehicles that comes along for just a brief moment. The upgraded wheels on this vehicle offer improved handling and an attractive appearance.